These are replacement 10-Spoke Sport Wheels. The wheels hold the tire and the car rides on them. make your car one of the sharpest on the road. Two Shiny 10 Spoke Sport Wheels. Taking old wheels off the car and replacing with your GREAT NEW ones. 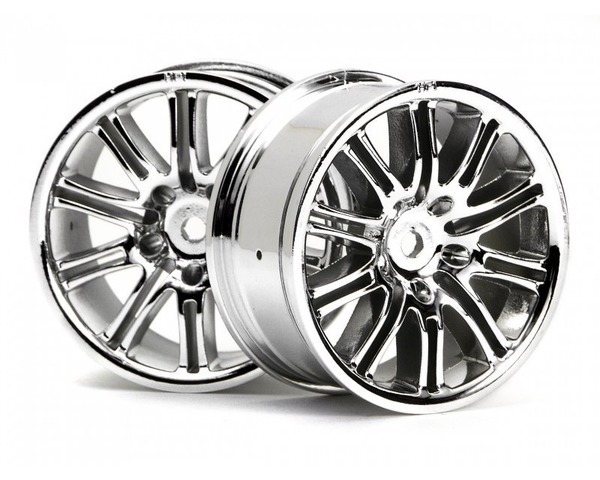 You'll love the shiny looks that these will give your car.